This is a legal agreement (the Agreement) between You, a single, named end user (You or Your or Subscriber) and the National Fire Protection Association (the NFPA) for the subscription service defined below (the Service) which includes access to copyrighted information of the NFPA (the Information). LIMITATIONS ON THE USE OF THE INFORMATION and LICENSE RESTRICTIONS. RIGHTS of NFPA: As between You and NFPA, the Information is owned by NFPA.The Information is protected by U.S. copyright law and international treaty provisions. NFPA retains all rights that accrue to or are incidental to the holder of copyright whether or not specifically set forth in this Agreement, including all right, title, and interest in and to the Information in all languages, formats, and media throughout the world, now known or later developed, except as may be provided in this Agreement. NFPA reserves the right at any time to make changes to the Service, the Software, the Information and the products and services delivered or permitted herein with or without notice to You. NFPA reserves the right to limit the Information made available for Download and offline viewing.NFPA also reserves the right to limit the amount of Information that may be Downloaded during any Subscription term and the number of times Information may be Downloaded.NFPA reserves the right to require You to register with NFPA any (i) device and/or IP address from which or through which You may access the Service; and (ii) device to which You may want to Download Information. PERMISSION FOR USE OF INFORMATION. Permission to allow use of the Information in any manner not specifically licensed herein will be considered based on written request to copyrightrequests@nfpa.org. LIMITATION OF LIABILITY.NFPA SHALL NOT BE LIABLE FOR ANY DAMAGE OR LOSS OF ANY KIND ARISING OUT OF OR RESULTING FROM YOUR INABILITY TO GAIN ACCESS TO THE INFORMATION AT ANY TIME, OR ANY ACTION OR EFFECT OF THE INFORMATION OR SOFTWARE INCLUDING BUT NOT LIMITED TO YOUR SERVERS, NETWORK, OR OTHER ELECTRONIC EQUIPMENT, REGARDLESS OF WHETHER SUCH LIABILITY IS BASED IN TORT OR CONTRACT OR OTHERWISE. IF THE FOREGOING LIMITATION IS HELD TO BE UNENFORCEABLE, NFPA'S MAXIMUM LIABILITY TO YOU SHALL NOT EXCEED THE AMOUNT OF THE FEES PAID BY YOU FOR THE ACCESS TO THE INFORMATION FOR THE PREVIOUS THREE (3) MONTHS.  THE REMEDIES AVAILABLE TO YOU AGAINST NFPA UNDER THIS AGREEMENT ARE EXCLUSIVE. SOME STATES RESTRICT WARRANTY AND REMEDY EXCLUSIONS AND LIMITATIONS, TO THE EXTENT OF SUCH RESTRICTIONS, THE FOREGOING LIMITATIONS MAY NOT APPLY AND OTHER REMEDIES MAY BE MADE AVAILABLE UNDER CERTAIN STATE LAWS. TERMINATION: This Agreement and all rights granted by this Agreement will terminate: (i) immediately, and at any time thereafter without further notice or warning, at the expiration of the term of Your Subscription; (ii) immediately, if You transfer or share Your password or attempt to do so; (iii) immediately, if You transfer, use or share the Information or access to the Information, except as allowed herein; or, (iv) if You fail to comply with or if you violate any material term of this Agreement. Upon expiration of Your Subscription or other termination of this Agreement, You shall cease all use of the Information and remove and destroy any and all Information you may have Downloaded in accordance with this Agreement. GENERAL PROVISIONS: This Agreement will be governed by and construed under the laws of the Commonwealth of Massachusetts U.S.A. without regard to the conflicts of law provisions. The parties agree that the State and Federal courts sitting in Massachusetts will have exclusive jurisdiction over any claim arising out of this Agreement and each party consents to the exclusive jurisdiction of such courts. Should any provision of this Agreement be held to be void, invalid, unenforceable, or illegal by a court, the validity and enforceability of the other provisions will not be affected. Failure of either party to enforce any provision of this Agreement will not constitute or be construed as a waiver of such provision or of the right to enforce such provision. The headings and captions contained in this Agreement are inserted for convenience only and do not constitute a part hereof.